Termites are a worry to every homeowner. The thought of something undermining the integrity of the place we call home is a frightening prospect!! Best Termites Control offer customer various services relating to termites, including TERMITE INSPECTIONS, TERMITE TREATEMENTS AND TERMITE DAMAGE REPAIRS services. Termites often go undetected until serious damage is done. Best Termites Control uses the latest technology of thermal imaging to aid in the detection of termite activity and infestation. Thermal Imaging Cameras produce images of heat radiation and are able to precisely measure the temperatures of target object surfaces. Thermal imaging technology assists the technician to detect termite activity concealed by wall linings, floors, ceiling plaster etc, without the need for physical penetration and damage. 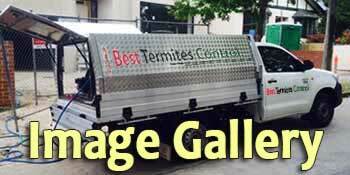 First, Best Termites Control technician will conduct a thorough inspection of your home. The technician will examine your home inside and out, around windows and plumbing, sub-floor, roof, garage, basically your entire property. Anywhere termite colonies may be establishing around your home. Then, if we discover a termite problem, he will recommend the most effective treatment method, customized to meet your home’s specific needs, as well as appropriate repairs for any damaged areas. Finally, will let you know if your home qualifies for our ongoing termite monitoring plan, to ensure termites don’t re-establish around your home and do further damage.